I meant to write a blog post earlier this week, but WOW, what a stressful and exciting week it has been! This is the first chance I have had to sit down and write all week. Monday: Started looking at houses to buy with our agent. Wednesday: I fell in love with a new home for us, and we went ahead and put our offer in that night. Noah woke up in the middle of the night with a barking cough and runny nose. We called the pediatrician, and she said it might be Croup. Uggh. Friday: Noah woke up vomiting and very sick. The photographer came at 9am to photograph our house for the listing. Our cleaners came at 12:30 to do a deep clean of our house for the listing. Our house is ready to be listed (We hope to get it on the market this weekend!). Made more progress on the new house (scheduled inspection and our lender is moving forward with our loan). Noah woke up from nap vomiting/diarrhea, and had a fever when he went to bed for the night. Poor kid! On a positive note, he does not have Croup though…just a nasty bug. Shew! That was stressful even retelling it. So, more about our exciting news, the new house! We are so over the moon about it! We have the inspection on Sunday, and if all goes well, we are good to go! 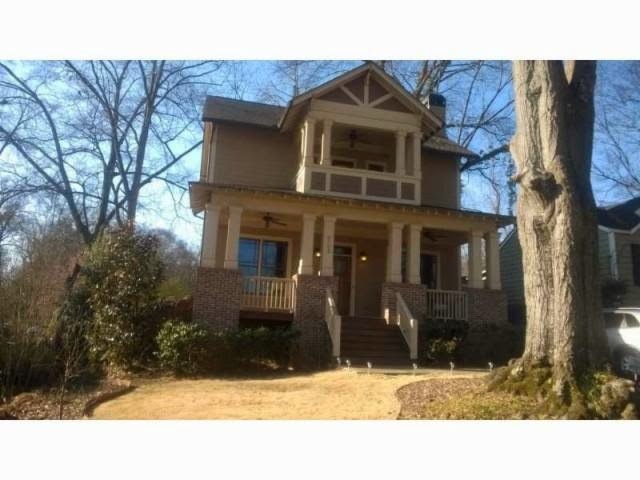 It is a 3 bed 2 1/2 bath craftsman style 2-story bungalow in north Kirkwood near Oakhust. The house is one block from Bessie Branham Park (Noah's favorite park in the city). It has an open-floor plan, beautiful custom kitchen, bonus room, large master suite, screened in porch and fenced in back yard. It is absolutely perfect!! We will keep you updated on how the selling process goes of our current home, and of course, keep you updated on the details of our new home! Time for a relaxing weekend...I am exhausted. A busy week eh? House hunting, a sick kid, and even a car accident. How can you keep with all of this? I hope your agent's keeping himself busy this week with looking for a new home and selling your old one. At least that's one less thing for you to worry about, what with all of the stuff that has happened. Good luck!